Donald Ingwerson, a nationally noted education reformer who headed several big-city school districts including the 1.5-million-student Los Angeles County schools, died Nov. 4 at home in Laguna Beach. A depression-era Kansas farm boy who never thought about college until his high school baseball coach took him to visit campuses, Dr. Ingwerson rose to be awarded the National Superintendent of the Year award in 1993, in a White House ceremony. His citation was for work in the greater Louisville Ky. Jefferson County School District where he was an early proponent of computers in the classroom and earned business support for schools by linking training to the needs of the local job market, and oversaw successful racial integration reform that significantly shortened busing time for students. Dr. Ingwerson was superintendent of the 1.5 million-student Los Angeles County school district from 1994 to 1997 and won the 1996 $25,000 Harold W. McGraw, Jr. Prize in Education for building a countywide educational technology project to increase student access to – and teacher training in – computers. 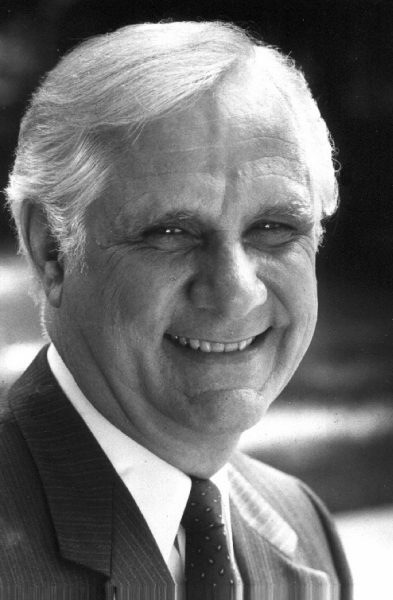 When Dr. Ingwerson retired from education in 1997 he was hired to handle legislative work for Christian Science Churches in Southern California and to blog on spirituality in local newspapers, a job he held until his passing. Born in Pawnee City, Neb., Dr. Ingwerson earned a Bachelor of Science degree at Emporia State Teacher’s College, where he supported himself by playing semi-pro baseball and as a brakeman on trains. He did graduate work at the University of Southern California and got his doctorate from the University of Wyoming in Laramie. Dr. Ingwerson was a 25-year resident of Laguna Beach, first living in the Mystic Hills neighborhood where his home survived the 1993 Laguna Canyon fire and was featured on a CNN news report at the time, and for the past 21 years at Thousand Steps Beach. He is survived by his wife, Lona Ingwerson, who is a Christian Science practitioner; his daughters Tanya Thomas (Mark), of Laguna Beach, who is general manager of Fashion Island, and Heidi Thompson (Justin) of Manhattan Beach who is owner of a boutique recruiting firm; his son, Marshall Ingwerson (Clara) of St. Louis, who was editor-in-chief of The Christian Science Monitor and now is chief executive of The Principia, a nonprofit that runs a Christian Science day and boarding school and a liberal arts college; six grandchildren, including two who attended Laguna Beach schools – Margaux Thomas Currie (Thomas) and Marshall Thomas; and a great-granddaughter.